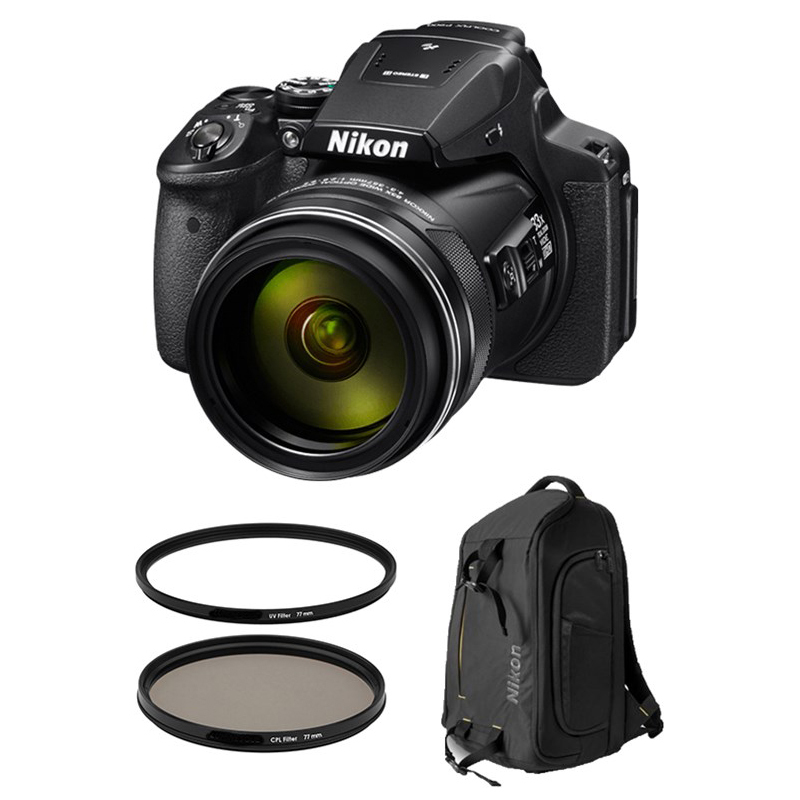 Nikon Coolpix P900 w/ Nikon DSLR BackPack + Accessories Bundle! The zoom power of the all new Nikon COOLPIX P900 is nothing short of spectacular. This is 2000mm of optical zoom - more than any Nikon COOLPIX yet. Advanced shooters will appreciate the outstanding image quality and DSLR styling - a sure grip, a swiveling Vari-angle display, a high-resolution Electronic Viewfinder that turns on automatically when lifted to your eye, even a PSAM mode control dial. And everyone will appreciate the built-in Wi-Fi and Near Field Communication technology (NFC) connectivity which wirelessly connects the COOLPIX P900 to a compatible smartphone or tablet for instant photo sharing and remote camera control. (*) - Limited stock available. Subject to change without notice.